Nearly 200 teams from 10 universities across Idaho applied to compete in this year’s Idaho Entrepreneur Challenge, making it the most successful challenge to date. 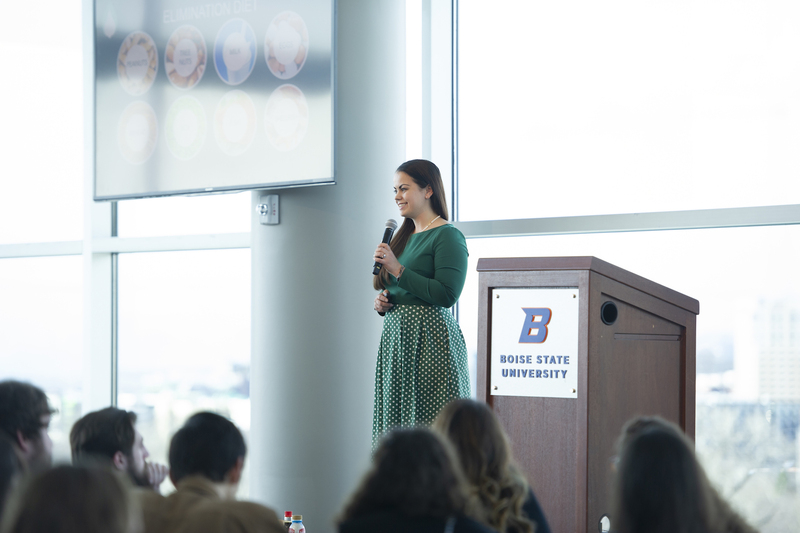 Twenty-four of those Idaho teams were chosen to compete in March for a chance to win a portion of $100,000 in seed funding – with six of seven Boise State teams being named finalists in this year’s competition. “The Idaho Entrepreneur Challenge is special because it combines the efforts of all of Idaho’s universities in supporting student innovators in taking their entrepreneurial ventures as far as they can go, and giving them access to accomplished startup experts from across Idaho and the nation,” said Gordon Jones, dean of the College of Innovation and Design. Free to Feed, a product to test for allergens found in breastmilk, was the competition’s pitch-off winner and also claimed first place in the health category. 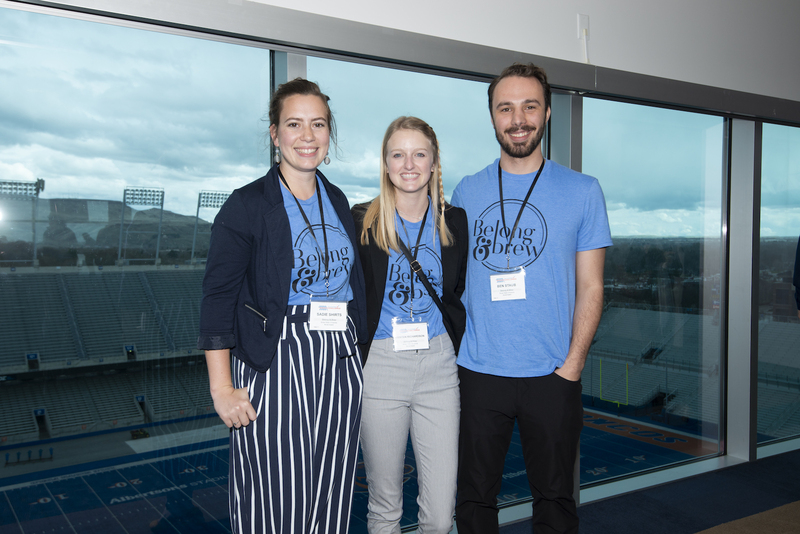 The company, founded by Boise State students Trillitye Paullin and Brecken Robb, intends to use their $12,500 award towards patenting their first product. Boise State students Brett Bruns, Isaac Jaynes, Dominik Huffield, Wes Morris and Desmond Porth are the brains behind Tis the Season, an app that connects users to student workers for affordable lawn and garden services. Tis the Season was a runner-up in the technology track, and the experience of competing in this year’s event was more than just the boost of capital – $7,000 in total – that they earned. The 2018 winner Lumineye, a former Venture College business, has experienced a significant amount of success in the past year. Just two weeks ago, Lumineye received a $120,000 grant at the U.S. Army’s xTechSearch Pitch Competition in Huntsville, Alabama, beating out hundreds of small businesses and finishing as one of twelve finalists. The company will have another chance to compete for an additional $250,000 in funding in the nation’s capital this fall. 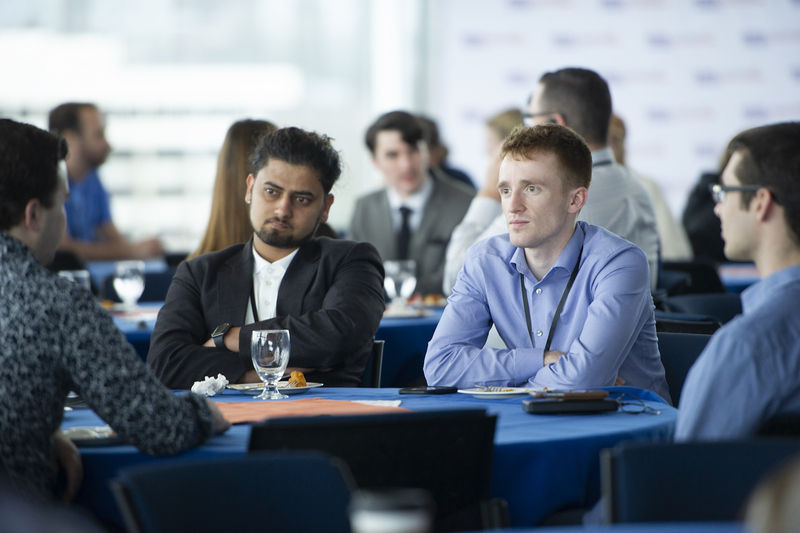 According to Ryan Vasso, associate director of the Venture College, the Idaho Entrepreneur Challenge’s professional network spent more than 400 hours this year volunteering their time to help students formulate their ideas, launch marketing campaigns and practice pitches. Belong and Brew, a tabletop display winner, was pitched as a unique coffee shop that would promote self-sustainability and demonstrate to the community that people with special needs are more than capable of contributing to society through the hiring and employing of those with disabilities. Free to Feed received the pitch-off award, the women founded award and placed first in the health category. The company produces test-strips for mothers to test for allergens in their breastmilk. With an over-the-counter test-strip, mothers could analyze their milk for allergen proteins and track which ones are present at the time of feeding. MobiliToe, second runner-up in the health category, improves the flexibility of the big toe to help prevent the development of common foot deformities hallux valgus and hallux rigidus. It also leads to improved balance and performance with continued use. Pressed Dress, winner of the jump start award and runner-up in the social category, would give brides the option to display and treasure their wedding dresses long after the wedding through their framing and display process. Simu Daktari, first place in the social category and winner of the women founded award, would provide healthcare services via telemedicine to families in rural Kenya who otherwise cannot access them. Tis the Season, a runner-up in the technology category, would solve the problem of expensive and hard-to-book lawn and garden services by creating an app for smartphones, connecting their customers with ready and able student labor whenever it is needed for a fraction of the cost of other labor services.